The Armored Truck is 182/250 in the mainline set, 5/10 in the HW Rescue series, and a 2019 Treasure Hunt. The truck is blue with black and orange stripe graphics. 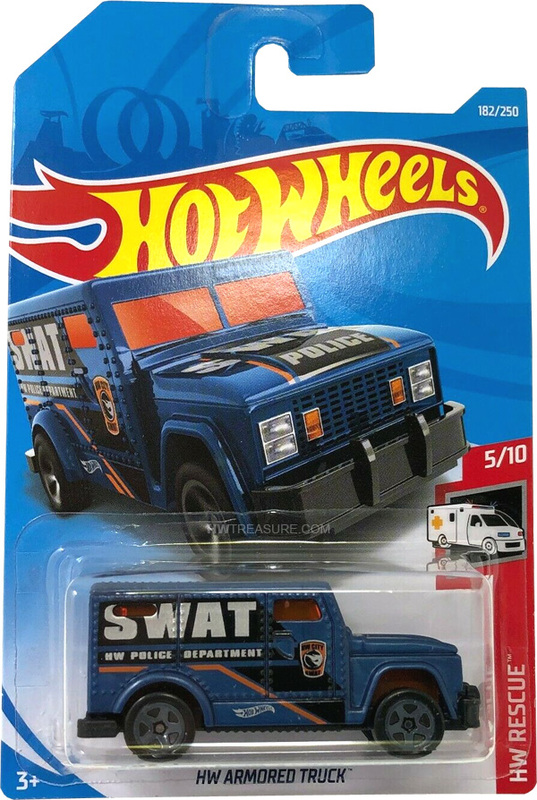 “SWAT” and “HW Police Department” are emblazoned in white as well as the Hot Wheels logo. The low production symbol is in a HW City SWAT emblem on the doors. The truck has orange tinted windows, 5-spoke wheels, and a black metal Malaysia base. 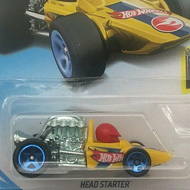 This vehicle can be found in mix “J” of 2019 Hot Wheels mainline cases. The Armored Truck made its debut in the 1997 Police Force: Action Pack series. It is an original design of an armored vehicle that is used to protect and transport valuables.